Reviewing a manuscript written by a fellow scientist is a privilege. It is also an exciting and enjoyable educational experience. However, it is also a time-consuming responsibility. GMHJ and its editors, authors, and readers therefore appreciate your willingness to accept this responsibility and your dedication. All manuscripts submitted to GLOBAL HEALTH MANAGEMENT JOURNAL (GHMJ) will undergo a double-blind peer review where both reviewer’s and author’s identity will not be disclosed. 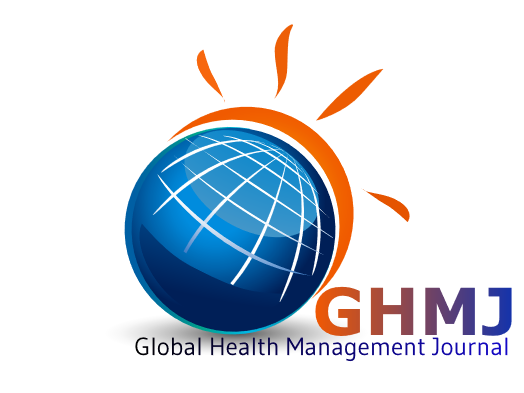 All manuscripts submitted to GLOBAL HEALTH MANAGEMENT JOURNAL (GHMJ) will be kept its confidentiality. However, manuscripts may be shared internally with Editorial Board members, Associate Editors and other editors at the journal as part of our editorial and production processes. The journal will not disclose the identity of peer reviewers and reviewers should not disclose their identity without first consulting the journal. We expect our reviewers to adopt a positive, impartial, but critical attitude toward the manuscript under review, with the aim of promoting effective, accurate, and relevant scientific communication. Reviewers are not required to correct deficiencies of style, syntax, or grammar, but any help they can give in clarifying meaning will be appreciated. Our Editor will send a request to review a manuscript to your email. On receipt of the invitation to review, you should immediately read the editor's transmittal e-mail, which includes the article abstract, to determine whether the subject is within your area of expertise and whether you can complete the review in the stated time period. It’s not necessary for reviewers to register as reviewer in our open journal system. If you accept the invitation to review, you will be granted an access by our journal administrator to one-click review to direct you to our review form. You will also be permitted to access the full PDF of the manuscript and start your review immediately after double-check the manuscript title page and the Acknowledgments section to determine whether there is any conflict of interest for you (with the authors, their institution, or their funding sources) and whether you can judge the article impartially. You will be asked to assess the manuscript by providing thick marks (√) in every section (introduction, methods, results, discussion, conclusion, abstract, and references) and adding some comments on the given boxes. Your assessment may indicate whether the manuscript is having an adequate or inadequate portion in each section following the journal editorial policy and author’s guidelines. After completing your review in our open journal system, you will be requested to decide whether the manuscript deserves to be accepted, accepted after a minor or major revision or even declined. It should be noted however, that each manuscript in GMHJ will be sent to two peer-reviewers. Therefore, although reviewers have come to conclusion, the final decision of a manuscript will be accepted, revised or declined will be determined by our Editor-in-Chief. If you decline the invitation to review, please indicate why you are declining. If possible, please suggest a colleague who may be able to review the manuscript. If appropriate, the editor will send an invitation to review to that individual. You may not “transfer” your invitation to review the manuscript to a colleague. If you have either a time problem or a conflict of interest, contact the editor for instructions. Our editors may extend your deadline or cancel the review assignment as appropriate.